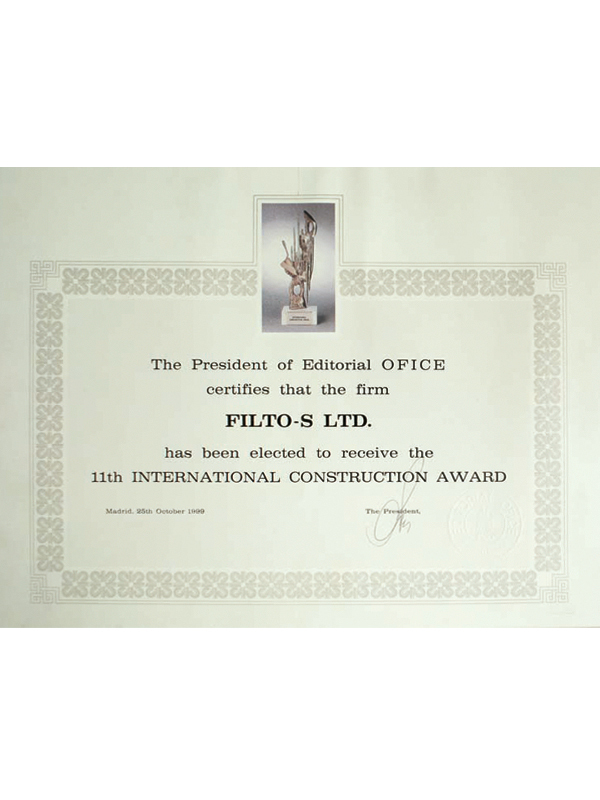 FILTO-S Ltd. was founded on 20.07.1990, and is one of the leading Bulgarian construction and investment companies. 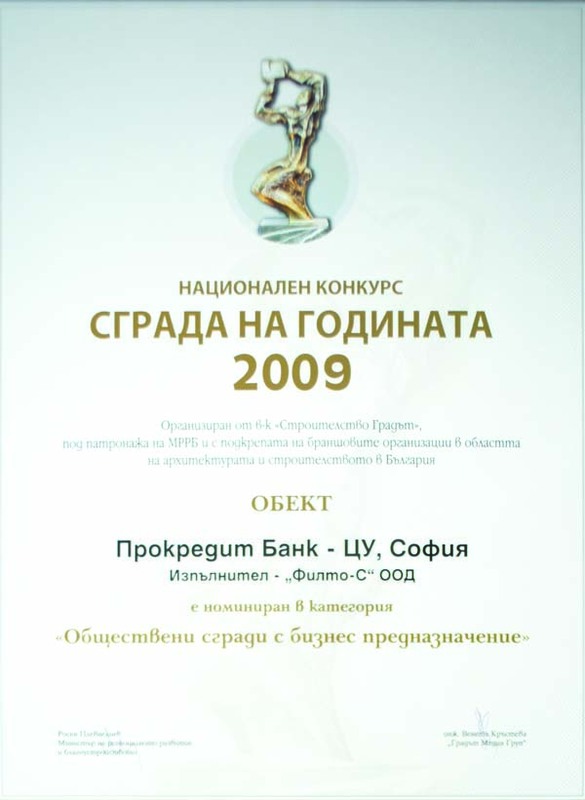 The company specializes in construction, sales and management of residential and administrative buildings in Bulgaria. 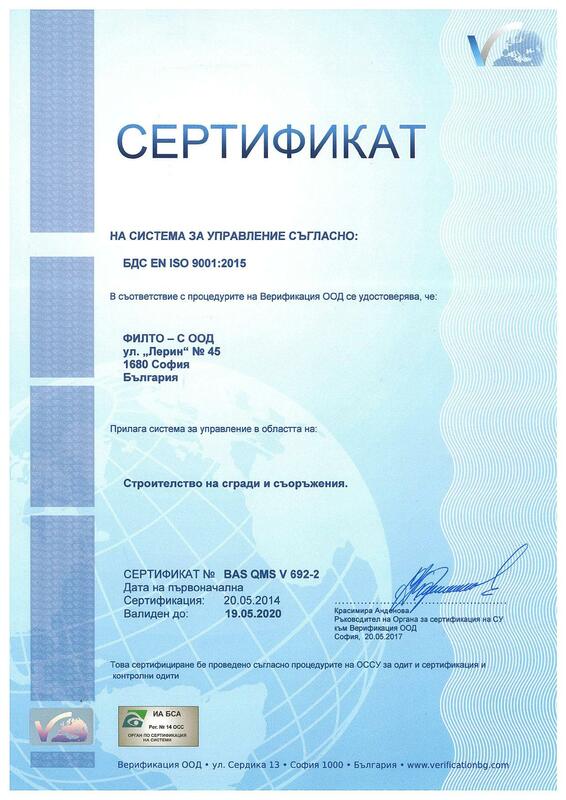 So far we have built 80 sites in Sofia, with total built-up area of 210 000 sq.m. More thatn 10 000 people live and work in the precisely built 1800 apartments, dozens of shops, several commercial and public buildings, restaurants, bakeries, hospitals, church halls and production halls. Together with the buildings we construct we also develop the adjacent infrastructure and urbanization arrangements. Please feel free to visit the section "Gallery" on our website to view some of our most beautiful buildings. If we have attracted your attention with what we have constructed so far and you want to receive more specific commercial information, please visit section "Sales" of our website. 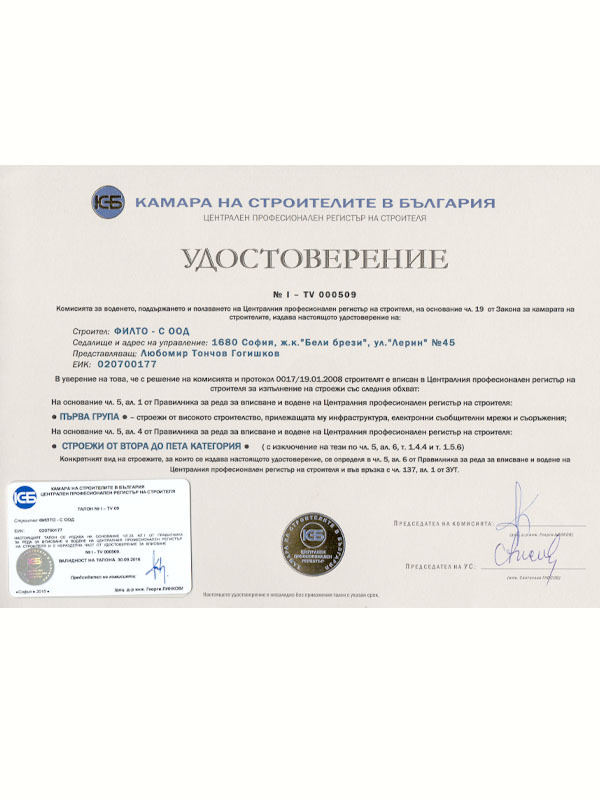 Thanks to the successful efforts FILTO-C Ltd won the trust of people and its name became synonymous to loyalty and good attitude towards clients.